A surface Cu-Au-Mo-Ag mine located in the W½ sec. 19, T23N, R17W, GSRM, (Cerbat 7.5 minute topo map). Owned by Duval (subsidiary of Pennzoil). Located near a locale called Mineral Park, which is near the population center of Kingman. 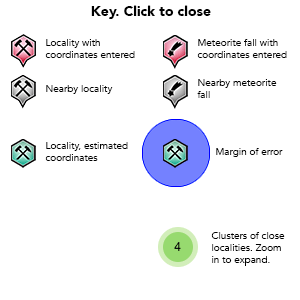 MRDS database file stated accuracy for this locality is 1,000 meters. Mineralization includes secondary copper minerals. Reference: Anthony, J.W., et al (1995), Mineralogy of Arizona, 3rd.ed. : 251; Wilkinson, W.H., Jr., et al (1980), Some unusual secondary minerals from the Mineral Park mine, Mohave Co., AZ: Min.Rec. : 11:243-245. Description: As micro-crystals & spheroidal aggregates in quartz. Reference: Anthony, J.W., et al (1995), Mineralogy of Arizona, 3rd.ed. : 418; Wilkinson, W.H., Jr., et al (1980), Some unusual secondary minerals from the Mineral Park mine, Mohave Co., AZ: Min.Rec. : 11:243-245. Reference: Anthony, J.W., et al (1995), Mineralogy of Arizona, 3rd.ed. 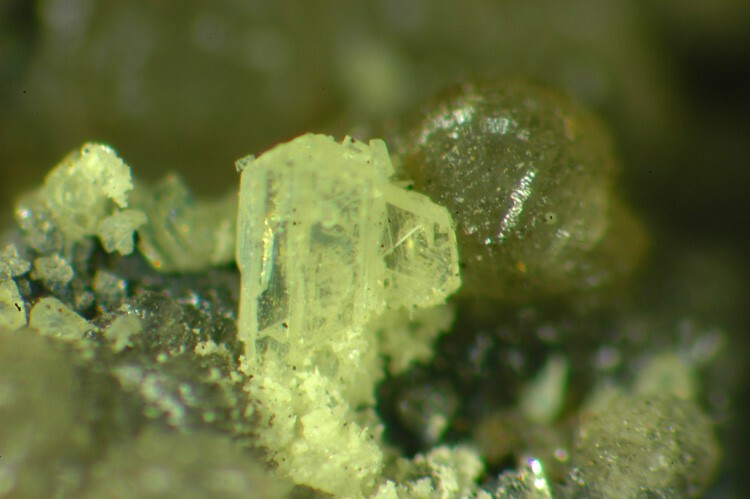 : 426; Wilkinson, W.H., Jr., et al (1980), Some unusual secondary minerals from the Mineral Park mine, Mohave Co., AZ: Min.Rec. : 11:243-245. Comments: Laramide metaluminous; associated with porphyry Cu deposits Original map source: Arizona Geological Survey, DI-8 Geologic Map of Arizona, Digital Spatial data for the Geologic Map of Arizona, v. 3.0, edited by S.M. Richard and S.M. Kneale, 2002, 10 p., 2 DOS HD disks. Arc/INFO export file (.e00) format, scale 1:1,000,000. Garrison, F.L. (1907), Notes on Minerals, Proceedings of the Academy of Natural Sciences of Philadelphia: 59: 445. Thomas, B.E. (1949), Ore deposits of the Wallapai District, Arizona, Economic Geology: 44: 663-705. Field, W. (1966), Sulfur isotope method for discriminating between sulfates of hypogene and supergene origin, Economic Geology: 61: 1428-1435. 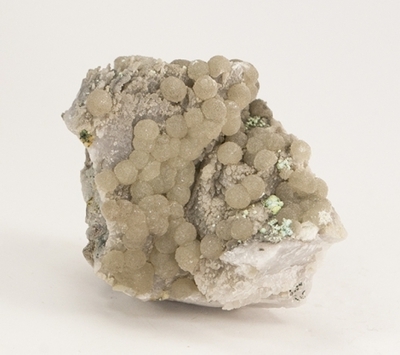 Wilkinson, W.H., Jr., et al (1980), Some unusual secondary minerals from the Mineral Park Mine, Mohave County, Arizona, Mineralogical Record: 11: 243-245. Mining Annual Review (1985): 55, 94, 329. Niemuth, N.J. (1987), Arizona Mineral Development 1984-1986, Arizona Department of Mines & Mineral Resources Directory 29. Niemuth, N.J. & K.A. 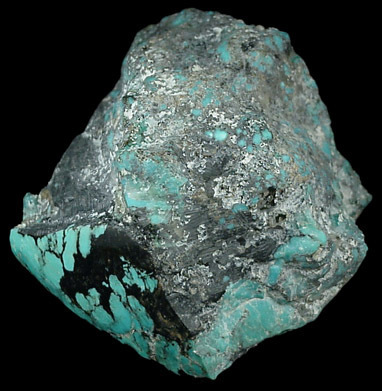 Phillips (1992), Copper Oxide Resources, Arizona Department of Mines & Mineral Resources Open File Report 92-10: 11 (Table 1). Anthony, J.W., et al (1995), Mineralogy of Arizona, 3rd. ed. : 163, 251, 418, 426. USGS (2005), Mineral Resources Data System (MRDS): U.S. Geological Survey, Reston, Virginia, loc. file ID #10113911 & 10234578 (mill). U.S. Bureau of Mines, Minerals Availability System (MAS) file ID #0040150001.